Highpoint Editions and the Walker Art Center are pleased to announce the co-publication of a new limited edition by Jim Hodges. Entitled Finally, the print is the third of a highly anticipated four-part series based on the seasons that Hodges has created in support of the artistic programs of the Highpoint Center for Printmaking and the Walker. Hodges’ latest print continues in the same serial nature as the previous two prints, Winter Speaks and of Summer. Matching its predecessors in size, finally evokes spring through the artist’s subtle use of color and material. The soft browns and the rich blacks intermingle on the front of the print, while a nest of grey branches tenuously holds together the dark expanse. On the reverse side of the print, Hodges has printed a lush bouquet of flora and fauna, made visible to the viewer through cut-outs inserted across the work’s surface. 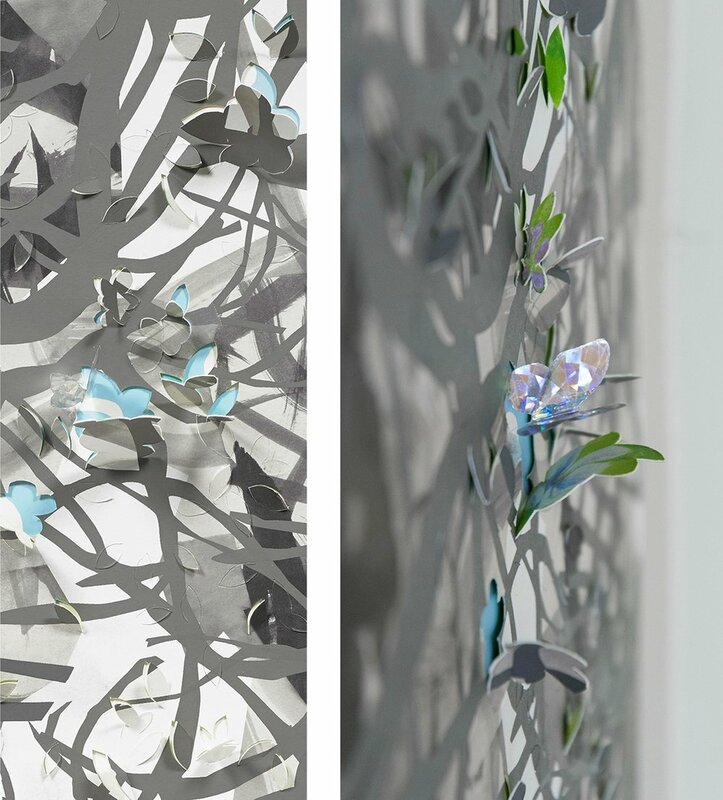 The cutouts expose glimpses of flowers and butterflies surrounded by sky blue and pale green, like snapshots into another world.